I had the nicest make-over with Penny at Cover FX in Harvey Nichols and loved the products she used. For one reason or another I haven't got any to try out at home until now and one of the things I have been trying is the Translucent setting powder which I still love. It's not cheap at £29 an not very manageable in terms of size and packaging but really sets foundation fantastically without being at all heavy and actually leaves the skin feeling incredibly smooth. I've wanted to try this for ages but I've always been trying out other things (like the famous BB creams) but I decided that our trip to South Africa was the perfect excuse to finally get some Laura Mercier Tinted Moisturiser and see whether it really is worth all the hype. I've used, and loved, Laura Mercier products for years and even wore the primer, foundation and creme shadow for my wedding, but none of her products seem to be as universally popular as the tinted moisturiser. Everyone from professional makeup artists to brides-to-be that I've had consultations with seem to be devotees which is pretty impressive considering the stiff competition from other, sometimes cheaper, brands. One great thing about it is that although it has an SPF of 20 it doesn't flash back in photos so it's great for using on brides who don't want or need a lot on their skin. It is easy to use, evens out skin tone and is really completely weightless. The change in climate made me a bit spotty in South Africa and this tinted moisturiser managed to cover them pretty well (I did use a concealer) but didn't aggravate them further. 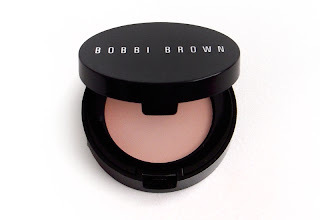 I have to confess I've never even bought any Bobbi Brown products. I've been given an eye shadow palette which is ok but didn't inspire me to make any further purchases. But I managed to lose my husband in the airport on the way to South Africa and accidentally bought some of the corrector and oh my god I am in love with it. How can I have gone this far through life with really dark circles under my eyes and not had this in my makeup kit. 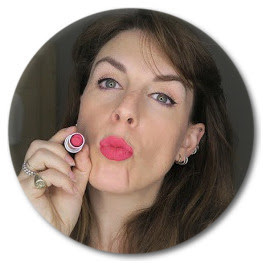 This really puts all the other correctors I've tried into the shade - it is just fantastic. I got Light Bisque which is really quite pinky and it is so creamy it goes on really easily (I use my Real Techniques domed shadow brush to apply it) and any concealer I've used goes over the top of it well. You don't even need concealer sometimes. I think I must have spent about £75 on different varieties of portable atomisers that have just not worked at all. They are either impossible to fill without losing most of you scent or the leak everywhere, the most expensive one I bought (from John Lewis) comes apart completely in my hand bag about five seconds after it goes in no matter how securely I put it together. So I'd given up on the whole thing. I know just drench myself in perfume or lug different bottles around on holiday which is a bloody nightmare. Just before I went to South Africa however, I got sent a Travalo to try out. It looked good and the principal seemed pretty sound but I was dubious. Surely it would not work. I was wrong. It is fantastic. Totally worth the £12.49 price tag as I'm going to use this all the time. I usually buy my scent in the airport but I'd got some at Christmas and really didn't want to lug a whole bottle of Chanel around SA as it's my winter scent daaaaarling and I only really wanted it for plane journeys and sultry nights out. So I followed the instructions (remove the spray head from your perfume, put the Travalo on top of the nozzle peg and pump it up and down to fill it) and filled the Travalo up with the really easy pump action - and without breaking my scent bottle - and that was it. There's a level indicator window to show you how much scent is in there (you don't want to overfill it) and it is completely mess free. In it went to my plane freezer bag of products and I checked it every ten minutes for signs of breakage/leaks/crapness and it was perfect.